This article first appeared in The Edge Financial Daily, on April 14, 2017. Elizabeth Arden’s latest skincare revolution is its Advanced Ceramide Capsules Daily Youth Restoring Serum. Some of its key benefits include minimising the appearance of lines and wrinkles, supporting skin’s collagen for a firmer look and visibly improving skin tone and clarity. The formula which contains fatty acids and sea fennel extract has the ability to deliver triple the anti-ageing power to enhance skin’s barrier repair function. Each capsule is also biodegradable as well as fragrance and preservative-free. The capsules are available in packages of 90 capsules (RM637), 60 capsules (RM499) and 30 capsules (RM271) at Parkson KLCC, Pavilion, One Utama, Gurney Plaza Penang, Plaza Merdeka Kuching, Ipoh Parade, Aeon Mid Valley, Aeon Kinta City and Gardens Mid Valley. Mark the Easter Sunday celebrations with convivial dining with loved ones at Majestic Hotel’s Contango. 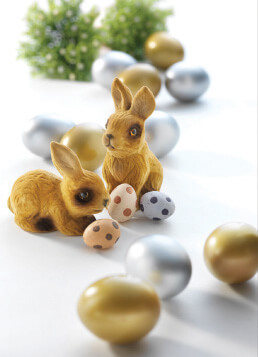 In addition to the scrumptious buffet spread priced at RM145 net per person, there will also be an Easter egg decoration activity. 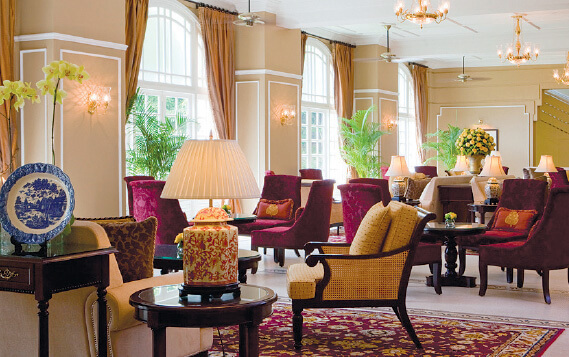 Alternatively, if you’re inclined to celebrate Easter over the hotel’s well-known afternoon tea options, take your pick between the Tea Lounge (RM90 nett), The Drawing Room (RM110 nett) or The Orchid Conservatory (RM130 nett). For more information on these or to make reservations for Sunday, visit www.majestickl.com or call (03) 2785 8000. One World Hotel’s high tea buffet is a delectable combination of Easter favourites and The Cinnamon Coffee House’s specialities. The dishes include devilled egg mousse, hot cross buns, chocolate eggs, Easter cakes and cookies as well as beef stroganoff and potato gnocchi, crusted nut baked salmon accompanied with grilled cauliflower and lemon dill cream sauce, seared whole chicken legs complemented with sauteed mushrooms, mixed seafood baked with pesto and cheese, and garlic honey roasted lamb. There will also be Easter egg hunt, egg decorating activity, a surprise visit from the Easter bunny and a magical clown performance for the children. Available from noon to 2.30pm, the buffet is priced at RM118 nett (per adult) and RM65 nett (per child aged four to 12 years). Call (03) 7681 1157 or email [email protected] for reservations and further enquiries. Dumpster.my — a platform that combines artistic talent and products that would otherwise go to waste — is organising one of its collectors’ markets, Hikayat Seribu Satu Barang, at Publika this weekend. If you are a fan of all things unique, you are bound to be spoilt for choice at this market which is an avenue to trade items such as antiques, toys, musical memorabilia and instruments, CDs, cassettes, records and books, just to name a few. Head to Publika at Jalan Dutamas 1, Kuala Lumpur between 10am and 10pm tomorrow and on Sunday to unearth some rare finds. Visit www.facebook.com/mycollectorsmarket for more information. Flea markets are one of the best places for some interesting, one-of-a-kind finds. Over 40 vendors will converge at the First Floor Artisan Market in The Starling Mall from today till Sunday, transforming the space into a Swap-Meet-Market. The Starling Mall at No 6, Jalan SS21/37, Damansara Utama, Petaling Jaya is the place to be, between 10am to 10pm, for those in search of items revolving around the themes of art, craft, design, idea, inspiration and lifestyle. Log on to www.facebook.com/firstfloorartisanmarket for more details. 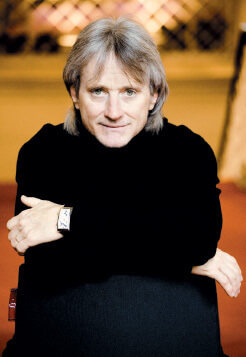 Dewan Filharmonik Petronas presents fans of classical music with A Hero’s Life, led by famous American conductor Carl St Clair, this weekend. The concerts with Symphony No 88, a masterpiece written by Franz Joseph Haydn in 1787, richly endowed with melodic invention, sturdy rhythmic momentum and felicitous touches of scoring. This will be followed by Ein Heldenleben or nicknamed A Hero’s Life, a splendid composition by Richard Strauss. This work is replete with opulent sounds, glowing orchestrations, enormous energy and huge climaxes. Tickets are priced at RM60, RM90, RM120 and RM150 can be purchased via www.mpo.com.my for the 8.30pm show tomorrow or the 3pm show on Sunday at Dewan Filharmonik Petronas, Kuala Lumpur City Centre, Kuala Lumpur. Visit www.mpo.com.my or call (03) 2331 7007 for reservations and more details. 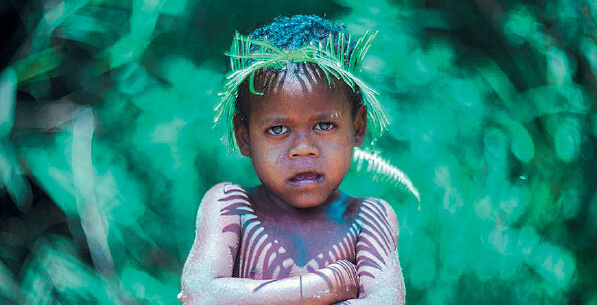 Learn more about and explore other cultures at Galeri Petronas tomorrow when you attend the Art Discussion: Music & Folktales of Indigenous Communities. The morning session from 10.30am to 1pm that will be moderated by Dr Lawrence Ross and feature panellists Dr Clare Chan Suet Ching, Pak Mahat and Dr Wesley Johnson. There will be a Sewang (traditional indigenous dance) workshop and performance during the afternoon session, from 2pm to 5.30pm. Admission is free. Galeri Petronas is located at Level 3, Suria Kuala Lumpur City Centre, Kuala Lumpur. Visit www.facebook.com/GALERIPETRONAS for more details. Levi’s® celebrates the 1960s — a decade of modern rebels, new ideas and music that changed the world — as it pays homage to the revival of a retro icon, the Orange Tab collection. Capturing the unrivalled style of the originals, the Levi’s® Orange Tab collection is inspired by the summer of love, revisited with vintage-inspired finishes and updated fits and fabrics. Early birds who bring along their Levi’s® apparel can enjoy for free customisation at the pop-up Tailor Shop. 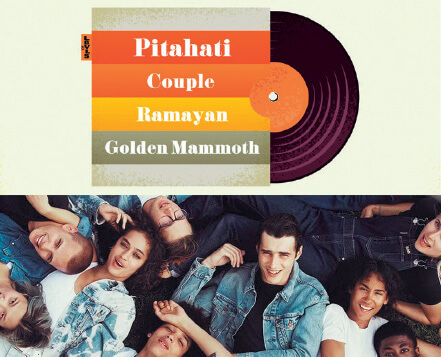 Happening from 7.30pm tomorrow at The Bee at Publika, patrons can expect a line-up of vintage pop to psychedelic rock performances such as rock act Pitahati, joined by Couple, Ramayan, and Golden Mammoth. Admission is free. Levi’s® presents Classics Remastered will take place at 36B Block C, Level G2, Publika, Solaris Dutamas, Jalan Dutamas 1, Kuala Lumpur. Visit [email protected] for reservations and visit www.facebook.com/pg/TheBeeMY or call (03) 6201 8577 for more information. Participate in an art discussion tomorrow for a sneak peek into the mind of the artist Mark Tan and his artworks showcased at his on-going exhibition Arrangements. 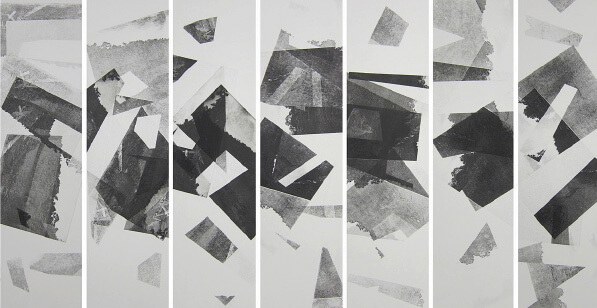 Tan’s debut solo exhibition presents more than 80 prints and drawings produced in the UK and Malaysia between 2013 to 2017 that investigate memory, time and place through subject matter and the artistic process. The art discussion will be moderated by fellow practitioner, Haffendi Anuar at OUR ArtProjects @ The Zhongshan Building No 80 Jalan Rotan, Off Jalan Kampung Attap, Kuala Lumpur. Email for reservations and visit www.ourartprojects.com for more information. 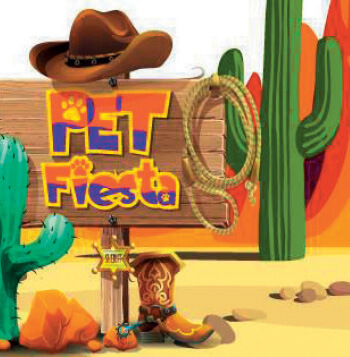 If you’re looking for a pet-friendly activity for the weekend, the Pet Fiesta Expo Malaysia — which is said to be largest indoor and outdoor pet exhibition in Malaysia — might just pique your interest. Bring along your furry friends to the three-day event that begins today at Setia City Convention Centre No 1, Jalan Setia Dagang, AG U13/AG, Setia Alam Seksyen U13, Shah Alam. Some of the highlights include dog grooming demonstrations, international cat and dog shows, dog agility demonstrations as well as a pet cafe. Visit www.facebook.com/pg/mypetfiesta for more details. 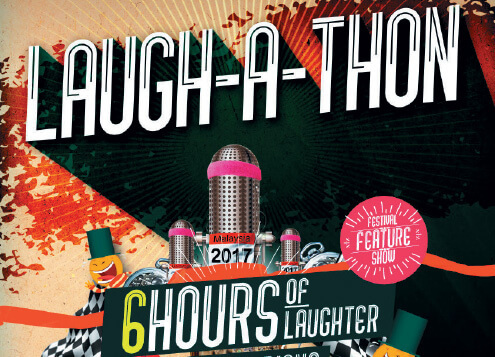 What better way to spend the weekend than a six-hour Laughathon at the LOLFEST 2017! Dubbed the longest live stand-up comedy show in Malaysia, it promises to bring fits of laughter to the audience with more than a dozen performances by international and local comedy talents. Laughathon, for the second year running, will take place tomorrow. There are three sessions that last 105 minutes each, beginning at 5pm, 7pm and 9pm at [email protected] House situated at E-G-07, Electric Boulevard Trec, Lot 434, Jalan Tun Razak Kelab Golf di Raja Selangor, Kuala Lumpur. Tickets are priced at RM40 for one session and RM100 for all three sessions, which may be purchased via www.ticketpro.com.my. Visit www.lolevents.my for more information. Put your pun game to the ultimate test at the Pun Competition happening on Sunday at The Bee, Publika. The open mic competition welcomes participants from all over the world with a chance of winning RM500 in cash. Each contestants will get two minutes on stage and will be evaluated by three judges on creativity, innovation and the correct use of puns. The language spoken must be in English but the pun itself can be in Malay, English or Mandarin. Props and costumes are allowed. Doors open at 7pm and tickets are priced at RM30. The competition will begin at 7.30pm. 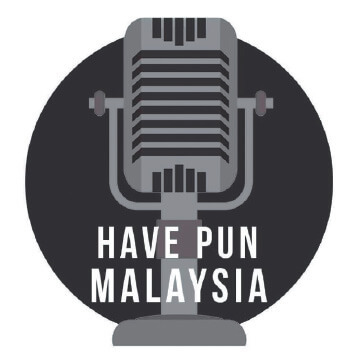 Head to 36B Block C, Level G2, Publika, Solaris Dutamas, Jalan Dutamas 1, Kuala Lumpur for a pun-filled Sunday. Visit www.facebook.com/havepunmalaysia for more information or email [email protected] for enquiries of to register as a participant.